Based on the new rules announced last week, Walt Disney World has added some additional changes to their parks that will be implemented soon. The iconic scene in Spaceship Earth where you travel past the burning remnants of Rome has become legendary among theme park fans because you can not only see Rome burn before your very eyes, but you can smell the smoke, too. This has inspired many lines of candles, air fresheners, and even Epcot-Burning-Rome-Scented deodorant made by fans for fans. But with Disney’s new ban on smoking, some revisions were needed. Spessall has also indicated that research and development is looking towards an innovative new system that will create smokeless fireworks, however that will not be part of the initial smoking ban. Coming hard on the heels of stroller restrictions and, in some cases, an outright ban of certain stroller types, Walt Disney World continues to use high-tech research to improve guest flow in public spaces within parks. As a result, a ban on strolling will come along with a ban on certain strollers. Director of Foot Traffic Operations, Ped O’Metre explains: “We have years upon years of data from RunDisney events that let us know exactly what speed all types of people can get from point A to point B. We’ve found that a ‘resort fast walk’, not quite a run (because that’s not safe), but faster than a casual stroll is the most effective way to get people from one location where they might be tempted to look at scenery or watch performers into a line where they can be held until their time to experience one of our world-class attractions. As a result, we’ll be requiring guests to use resort fast walk speeds during their time in Walt Disney World theme parks.” How will the ‘no strolling’ rule be enforced? Details are sketchy at this point, however the inclusion of a mild electroshock distributor in the patent for MagicBand 4.0 may give some clues. We’ll have to wait and see how this plays out. 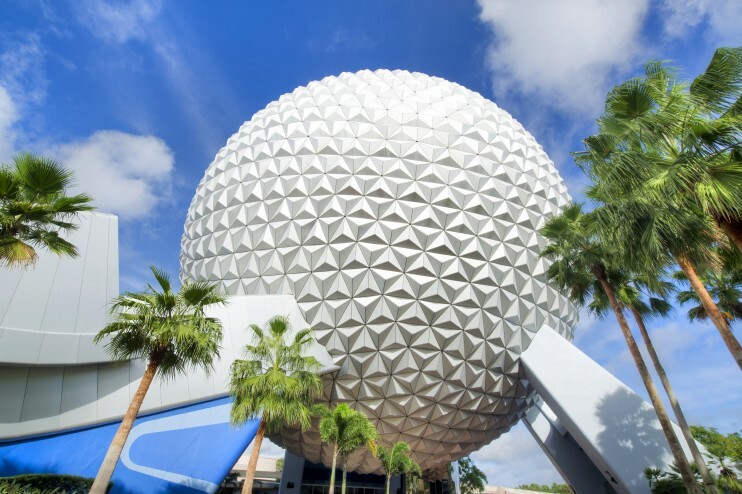 Disney is looking to complete these changes no later than February 30, 2020, giving fans plenty of time to enjoy an un-altered Spaceship Earth, strolling around the parks, and sodas other than Beverly. We’ll keep you updated as future details emerge. In the meantime, from all your friends at TouringPlans, we wish you a very Happy April Fool’s Day! You completely had me with the first one! And for the 50th Anniversary, Disney will be bringing back the beloved (and very short lived) Stitch’s Supersonic Celebration. The April fools joke was kinda lost when this post didn’t hit my inbox till 23:11 – time differences spoil the fun!